Rainy season brings water with many kinds of diseases. 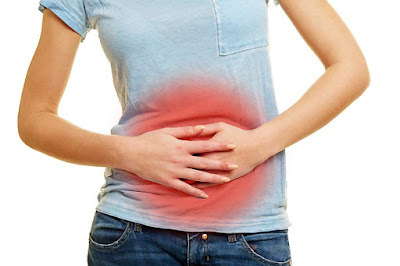 If you do not care about yourself then the risk of stomach infection increases. Ginger: Use ginger in food and tea. This removes bacteria from stomach and virus. Garlic: It contains anti-bacterial and anti-fungal property, which avoids infection in stomach. Eat one garlic bud with lukewarm milk every morning. Buttermilk & Honey: Drink one glass buttermilk with honey. This improves digestion and avoids stomach problem. Lukewarm Water with Rock Salt: Drink one glass lukewarm water with a pinch of rock salt every morning. This actives salivary glands and stomach remains healthy. Lemonade: Drink one glass lemonade every morning. This improves digestion and avoids stomach related problems. Water: Drinking dirty water creates bacteria and virus in stomach. Therefore, boil the water and drink it lukewarm or cold. Food: The risk of food poisoning increases in monsoon. This creates infection in stomach. Therefore, avoid outside, oily and spicy food. Fruits: The upper layer of fruits has many bacteria. This increases infection in stomach. Therefore, clean the fruits for 2-3 times with clean water before eating. Hand: Our hand contains many bacteria. Therefore, wash your hand before having meal. Bacteria in hand won’t go in stomach. Immunity: It is necessary to increase immunity to avoid bacteria and virus in monsoon. Therefore, include more dry fruits, nuts and lentils in diet.